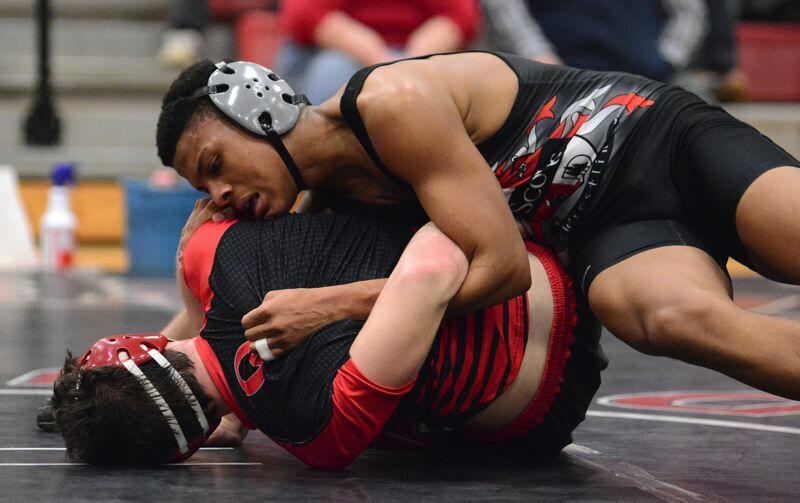 David Douglas has been the cream of the crop in Mount Hood Conference wrestling in recent years, winning last year's district title by more than 100 points. But with 5A powerhouse Sandy returning to the league, the Scots should expect a challenge in their quest for another title. The Pioneers were always in the team mix at the 5A state tournament, putting six wrestlers on the podium last season. Expect Sandy to remain a contender with the move back to big-school status. "The move to the Mount Hood conference comes at a good time for us as a program. It will definitely be more competitive with a top three foe in David Douglas," Sandy coach Larry Topliff said. "It gives us an opportunity to reset the character of our program without the stress of trying to maintain the success we've had over the last decade." The Scots crowned two champions, had three others reach the semifinals and two more make the quarterfinal round at state last year. The only downturn to that success is that the bulk of those wrestlers have since graduated. Junior Hayden Narruhn returns after winning four bouts in the state 106-pound bracket last season. He is expected to start the season at 113 pounds before finding his natural spot back at the bottom of the ladder when the end-of-year tournaments roll around. "He's gotten better and stronger to the point that we have him wrestle up the ladder in the weight room so he is getting the most out of his workouts," Scots' coach Anthony Weerheim said. Moving up the ladder, the Scots have district champion Ruslan Pilat at 152 pounds, along with Omar Narruhn in another of the middleweight slots. "Ruslan is really good on his feet and is a strong wrestler in awkward spots," Weerheim said. "When a guy thinks he has him, he will kick out and end up on top. He is strong when it comes to scrambling out of funky positions." Romeo Manue is back after winning district at 182 pounds last year. A linebacker with the football team, Manue has added bulk to his frame in the weight room, bringing him up to size in his wrestling class. "He's reached a whole new level. His shots are looking phenomenal," Weerheim said. "He's a solid 182 now, and he has added some moves from the top position that has made him more confident in turning people." Weerheim often ends up against him in the practice room. "He'll grab onto my wrist and it's 'holy moly, that kid is strong' — it's like he has super strength," Weerheim said. Also returning is Josiah Green after going 15-8 last season. Also a member of the football team, he has bumped up two spots on the ladder and will wrestle in the 195-pound slot when he returns from a sprained ankle. "We are still getting guys down to weight and other guys back from injury, so we are not there yet, but once we have everyone in the right spots we will have a strong lineup," Weerheim said. The Bruins have their strongest pairing in the middleweights with juniors David Luna at 152 pounds and Titus Trayhorn at 160. The duo combined to go 26-18 in bouts last season. "David has been wrestling for a long time, and the more bouts you wrestle the better you are going to be," Barlow coach David Head said. "It doesn't matter the opponent or the score, he goes out there to compete." The Bruins also have some experience in the upper weights with senior Ayden Hendrie at 220 pounds and sophomore Matt Jefferis back at heavyweight — both state qualifiers a year ago. "Wrestling is really starting to click for Ayden. He is establishing a good feel for the sport and knowing when he is in a position to attack," Head said. "Matt making state last year was a great experience. I still expect him to make some young mistakes, but he gets out there and gets after it." The lower half of the weight ladder is filled with young wrestlers, some with little background in the sport. "I love that. They don't have bad habits," Head said. "We get to show them what we want and they are eager to learn — they are soaking it all in." Centennial is poised for a move up the conference ladder after finishing in the middle of the pack last season. The Eagles' training room is crawling with almost 70 wrestlers out this winter, giving head coach Roger Matthews at least two or three varsity options across each weight class. "Putting a body in each class is usually a good thing, but it's much better when you have two or three kids competing to get that varsity slot on bout night," Matthews said. "That is a luxury that we haven't had in our recent past." Leading the way is Phillip Kue at 138 pounds — up two spots from his state-title run at 126 a year ago. He finished last season with a 41-0 record and traveled to a series of elite tournaments over the summer. Prior to this season starting, he signed his letter of intent to wrestle next year at national powerhouse Ohio State. "It's pretty cool to have a kid going to one of the top three wrestling schools in the nation," Matthews said. "He's continually getting better. He's an attacker, that's the thing Ohio State liked most, it doesn't matter the score he just has that go." Junior Tui Laithang brings another scoring threat to the middleweights, along with sophomores Riley Salazar and Bailey Sparks higher on the ladder. Each of those three wrestlers collected 20 wins last year. The lightweights are led by sophomore Jeremiah Van Cleve, who went 29-10 in his rookie season and won three consolation bouts at state. "He's tougher than nails, who is very emotional and intense — he just loves competing," Matthews said. The top of the ladder leans on a couple football players in Randall Sheck and Ihe Gonzales, who went 22-18 before a late-season injury prevented him from being in top form at the district tournament. Centennial has two seniors in its varsity lineup. "We have talent spread out all over the place — it's just young talent," Matthews said. The Raiders are strongest in the middle of the lineup led by Joseph Mercado, a lineman on the football team, at 182 pounds. He went 22-13 last year and won all three of his bouts at the Raiders' host Kirk Morey tournament to start this season. "He flat out gets after it and finds a way to get the job done," Raiders coach Steve Paulson said. Also returning in the middleweights is junior Burgess Myers (160), who qualified for state after going 13-10 last season. "He has a no-quit attitude and is very methodical — he likes to plan his way through a match," Paulson said. Also battling for wins in the middleweights is senior Dade Kimmel and sophomore Allen Jacinto, while Kenneth Vang is expected to lead the lightweight charge. "We have a lot of freshmen and sophomores on this team, but what I saw at our tournament last week gives me some hope," Paulson said. The Gophers have seen a slight uptick in numbers, and filling out a full lineup is the goal this season. "You have wrestlers working hard out there and you want to give them a match," Gresham coach Eddie Sifuentes said. "It's a small group, but it's growing from where we have been." The Gophers are unlikely to fill the lightest two weight classes, but expect to have the numbers to send someone onto the mat in most of the slots. Leading the charge is Caden Brewington at 126 pounds after winning nearly half of his bouts in his rookie season. "He's put in a lot of work over the summer and is the one who is setting the tone for the rest of the kids," Sifuentes said. Junior Gage McDaniels is back at 138 pounds after posting nine wins last season — the most of any of the Gophers' returning wrestlers. 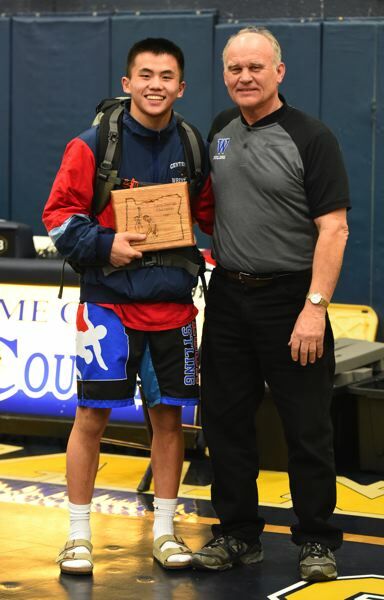 "He's willing to learn, and he doesn't quit on the mat," Sifuentes said. Also expected to contribute in the middle weights is junior Tim Ballew at 145 pounds. This wrestling preview is slated for our Friday, Dec. 7, print edition.